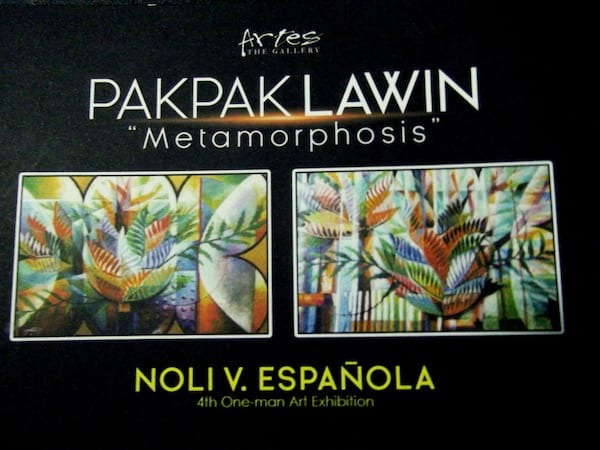 ARTES The Gallery presents “Pakpak Lawin- Metamorphosis”, showcasing the latest works of mixed media artist Noli V. Espanola. This is his 4th one man art exhibition where each stroke of his brush will take you to another dimension, where bold colors come alive and each intricate designs symbolizes his love for mother nature. His latest works is a departure from his pen and ink paintings which he is known for. 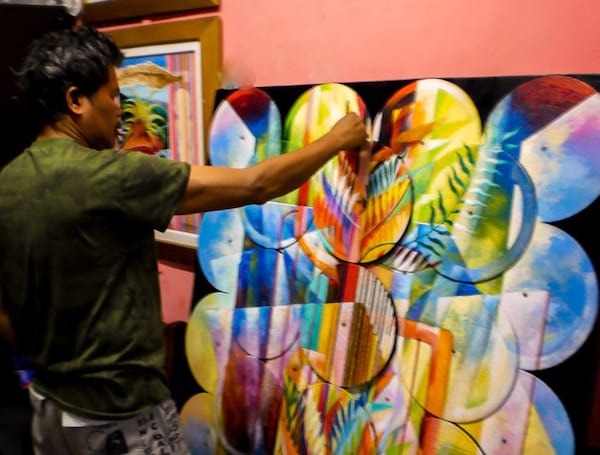 The artist has several participation in group exhibitions and has already won the grand prize at the 12th Hispanidad painting contest and the first prize at a Human Rights painting competition. Guest of Honor will be Mr. Johnny G. Tan and opening is on September 9, 2017 (Saturday at 6pm) and will run till September 28, 2017. The art gallery is open from 6pm till 12 midnight. For inquiries, call +632-373-0048, +632-372-4672, email: artesgallery@gmail.com.